Today, we’re thrilled to announce that we’ve received an investment from Greenstart, a cleanweb venture capital firm and design studio. Over the past few months, we’ve seen that people love the convenience and simplicity of campaigns where you can participate by buying an online voucher. Now we are working to make this new type of campaign available to everyone. As awesome as it is to organize campaigns, it can also be time-consuming and complicated -- and sometimes we see organizers reinventing the wheel over and over again. So we’re building new tools to make organizing Carrotmob campaigns so easy that anyone can do it without having to worry whether it will end up being more work than they have time for. That’s where Greenstart comes in. Their capital investment has given us the opportunity to expand our product team, and their world-class design studio will be instrumental in helping us shape the next generation of Carrotmob organizing tools. The other reason we’re so excited to work with Greenstart is that they share our passion for solving the world’s toughest challenges, like climate change. This is a big driver behind everything they do, so they really understand what the Carrotmob community is all about, and the importance of what this movement is trying to achieve. We’d absolutely love your feedback as we work to develop these new organizing tools. 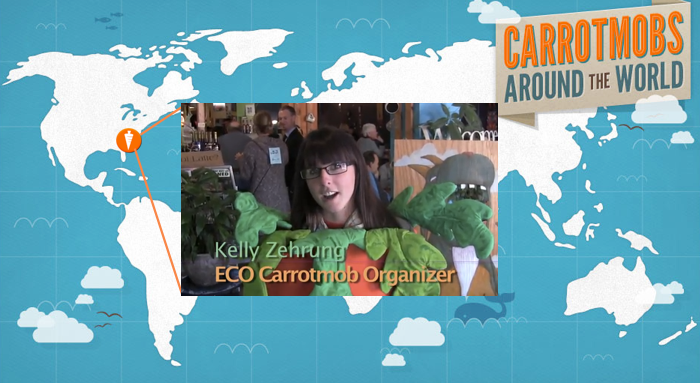 If you’d like to get a sneak peak by helping to organize a Carrotmob campaign, send us an email! 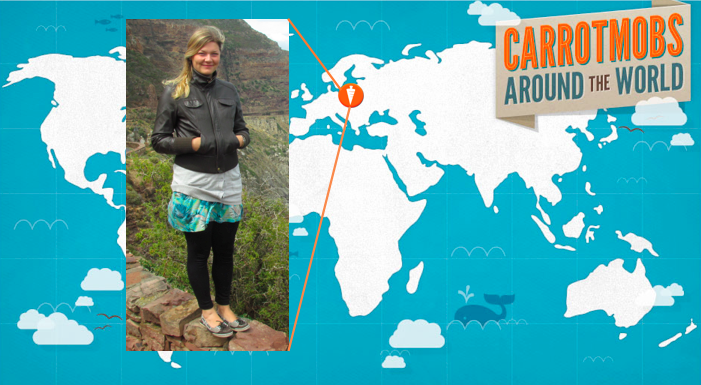 Thanks for your own investments of time and energy in the Carrotmob community... the best is yet to come! P.S. Looking for an internship? Spend the summer with us in SF!